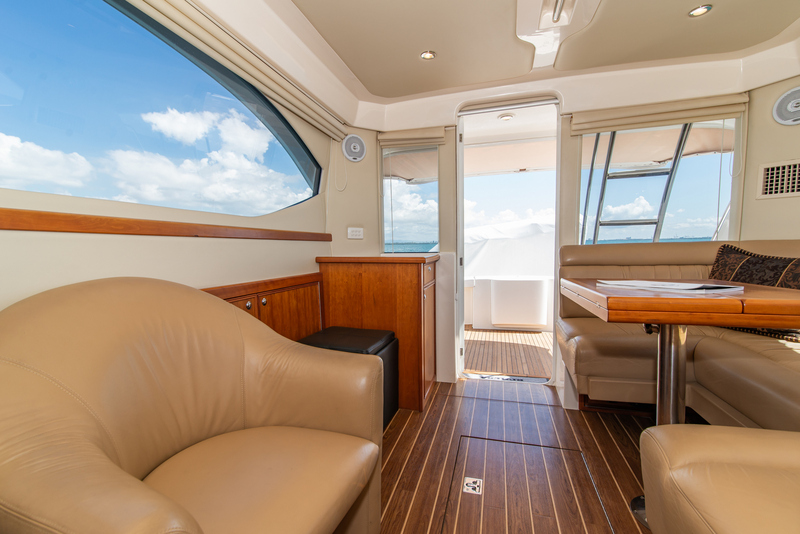 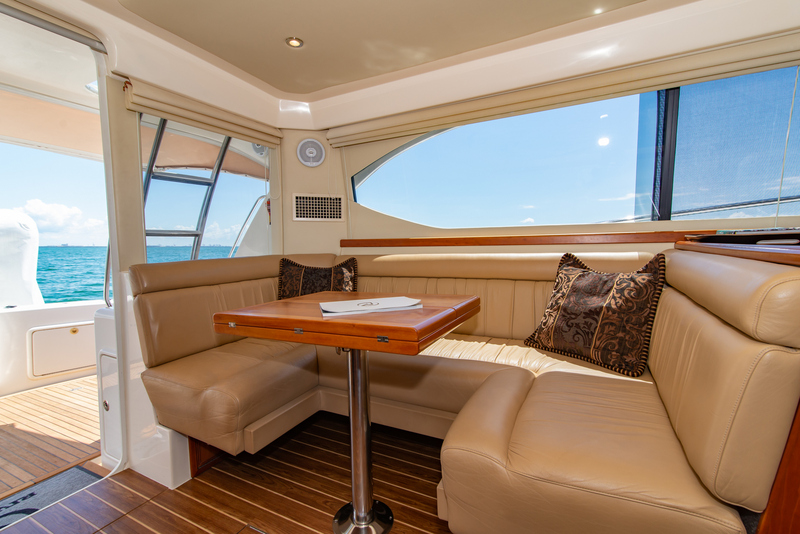 A very spaciously designed cockpit leads you in to a great saloon dinette with sensational vision outside, adjacent to the dinette is the lower helm and the galley. 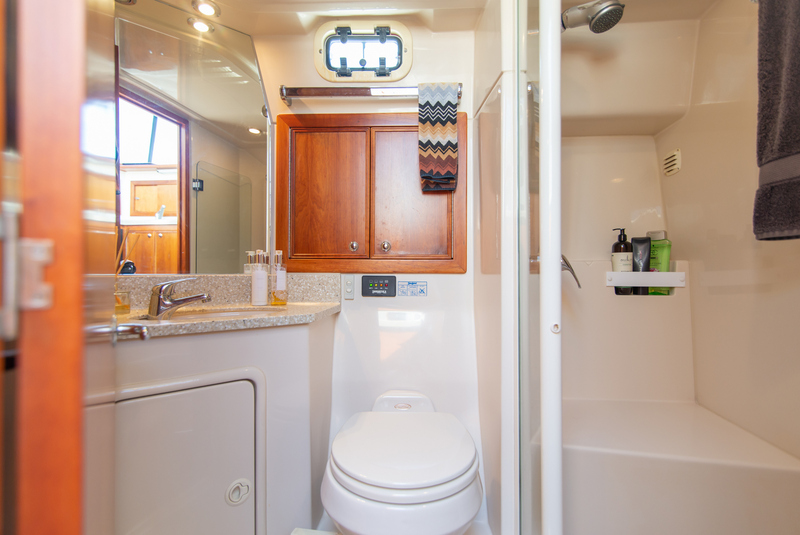 Having a lower helm really gives you options, whether you want the luxury of driving in the cabin with the air conditioning on, or the rain may be too heavy to drive from upstairs. 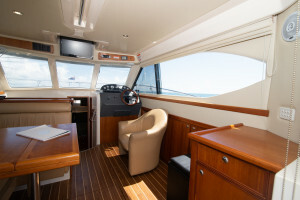 It is tucked away in the forward starboard corner, not taking up too much room. This boat has always been looked after to the highest of standards throughout her years, it really is a must see to appreciate the condition. 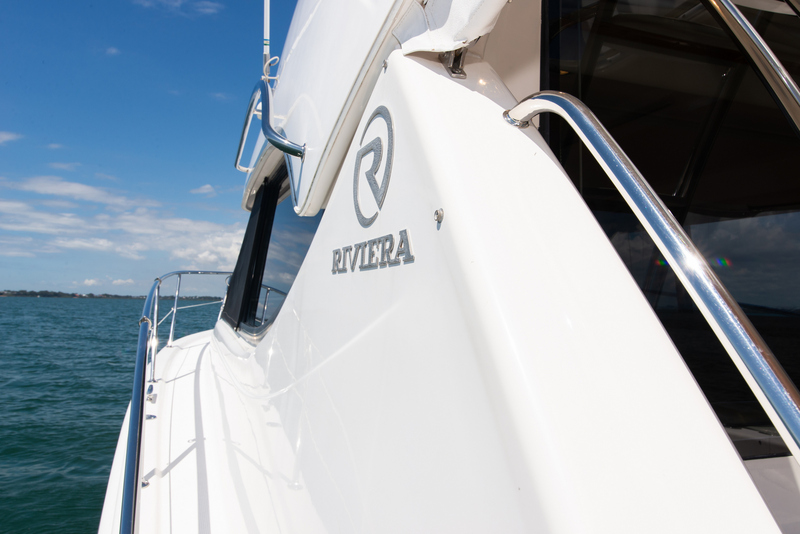 Listed exclusively with the sales office based at the Riviera facility, contact Sam Phillips on 0403 515 778 to inspect. Engine Room : Good access through saloon floor. 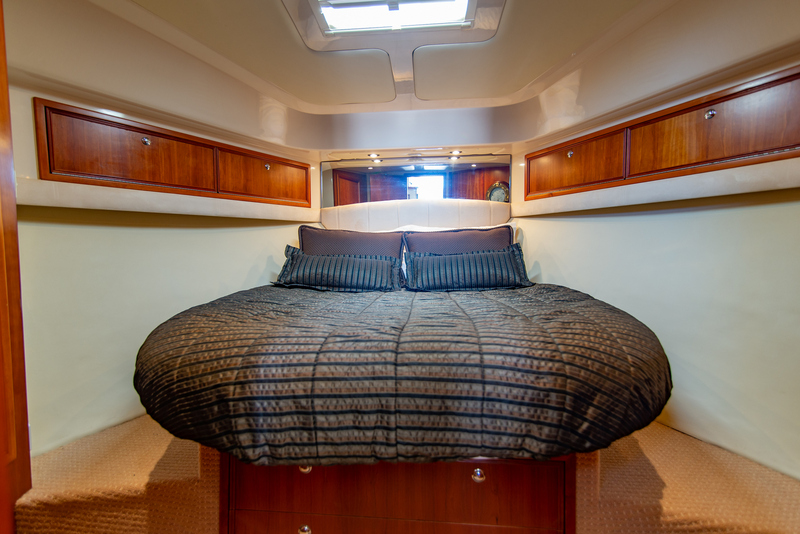 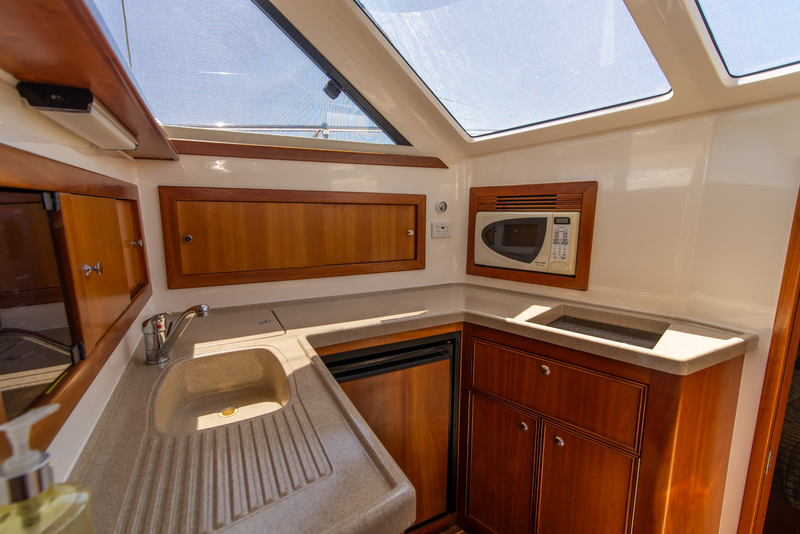 Accomodation Notes : Single cabin layout with island bed and air conditioning. 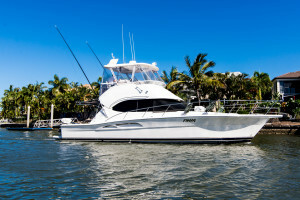 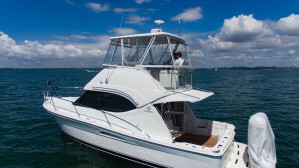 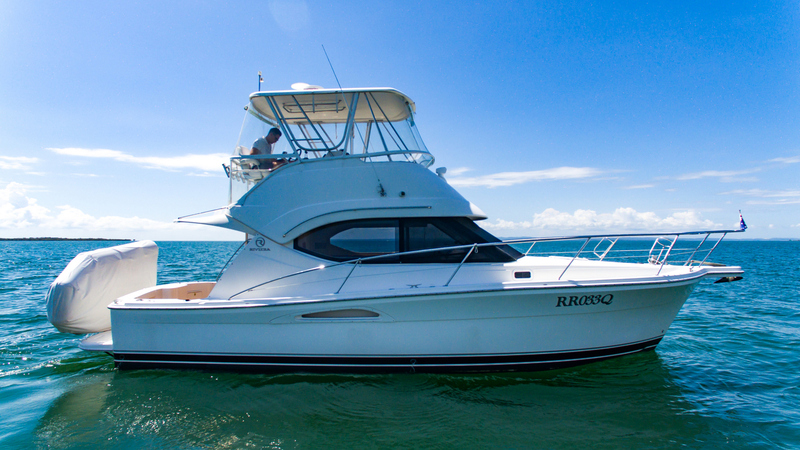 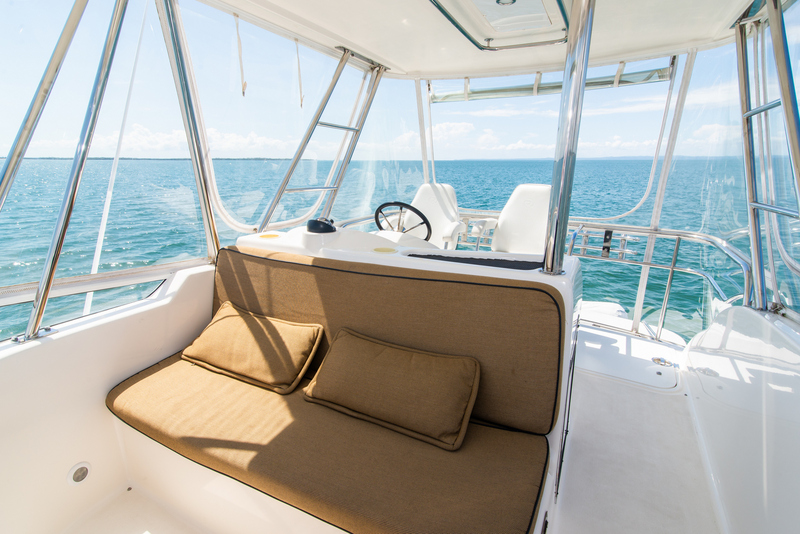 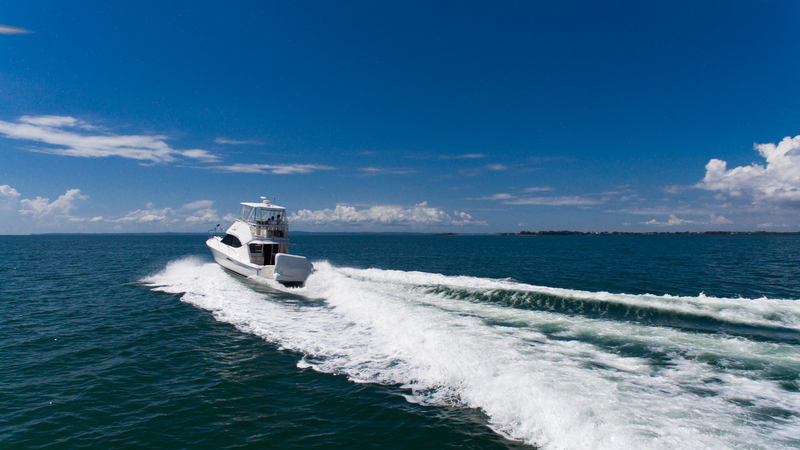 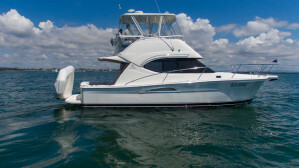 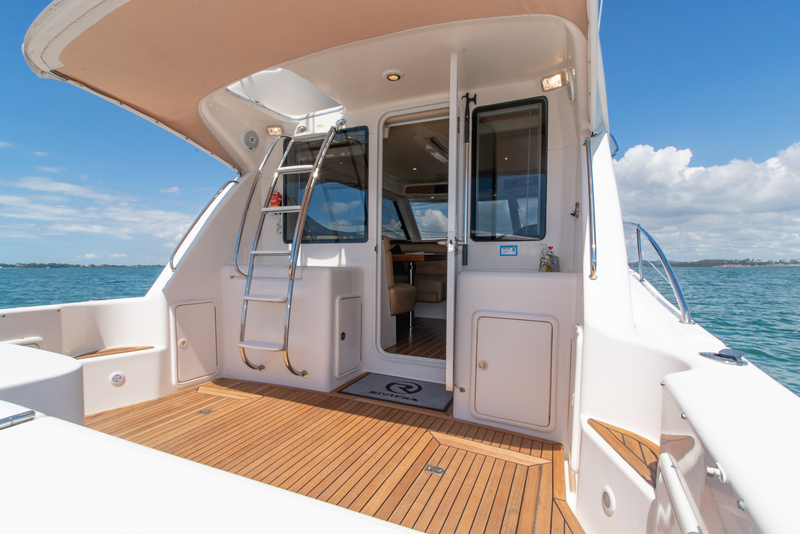 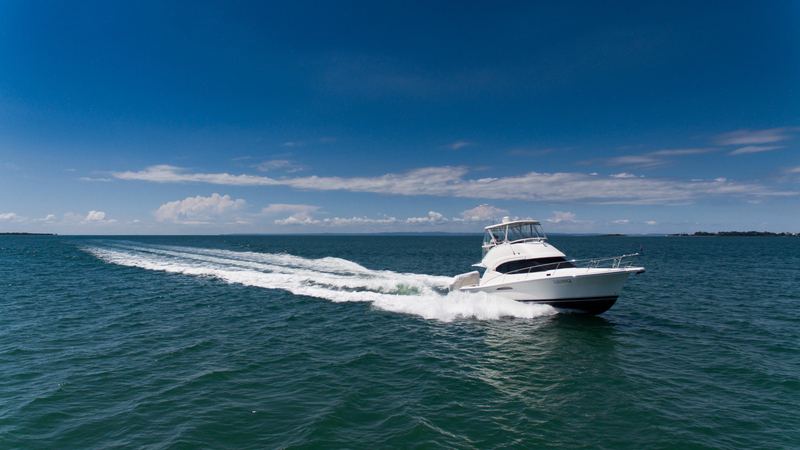 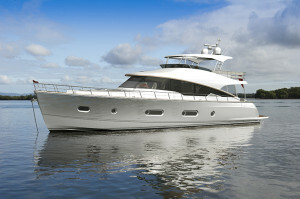 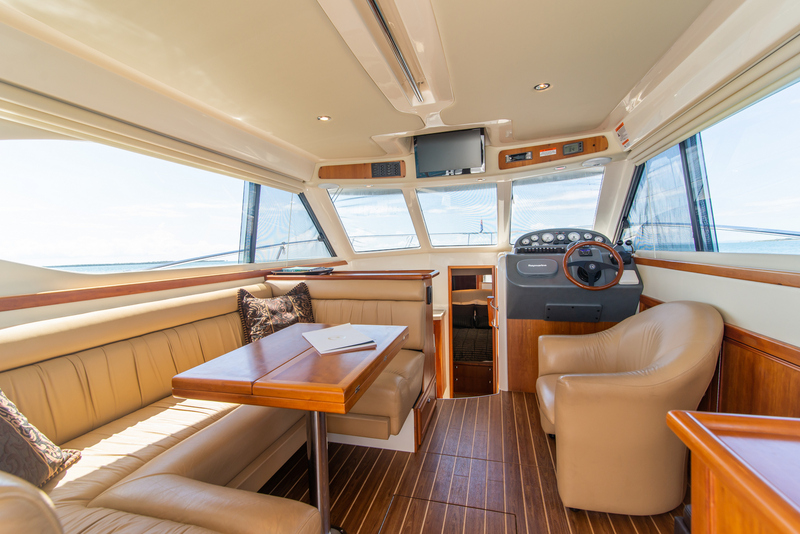 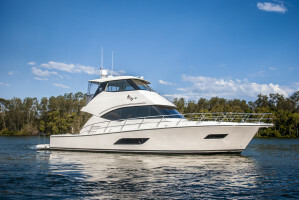 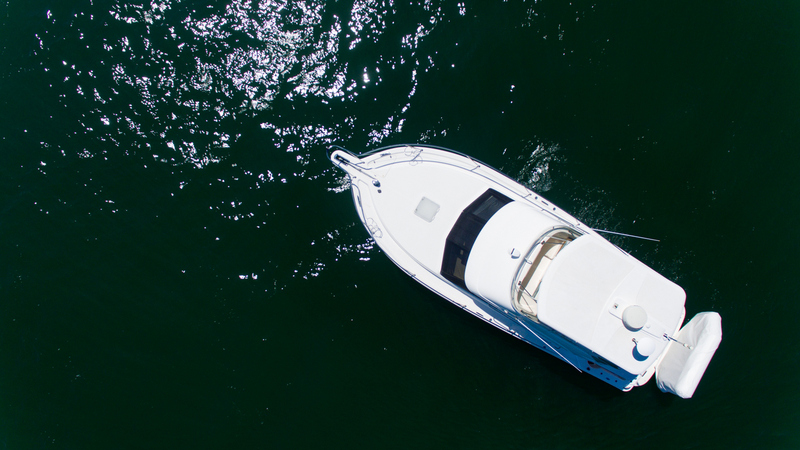 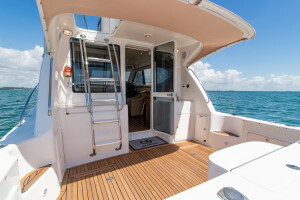 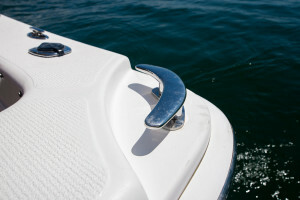 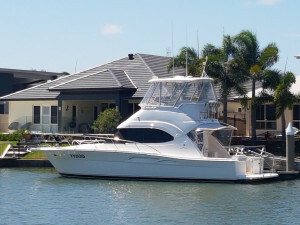 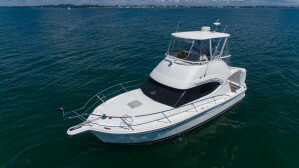 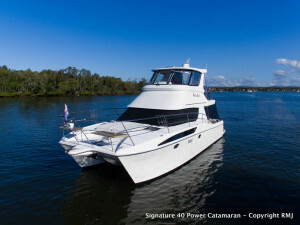 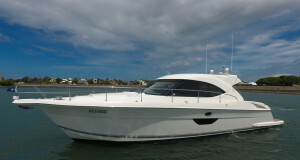 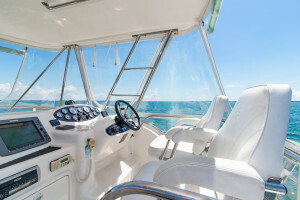 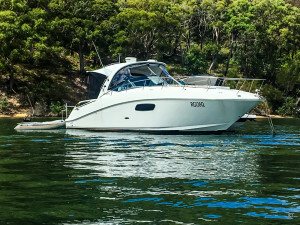 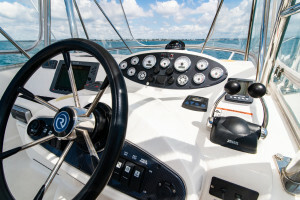 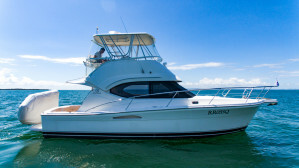 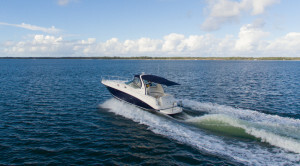 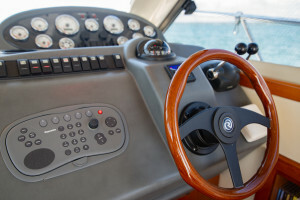 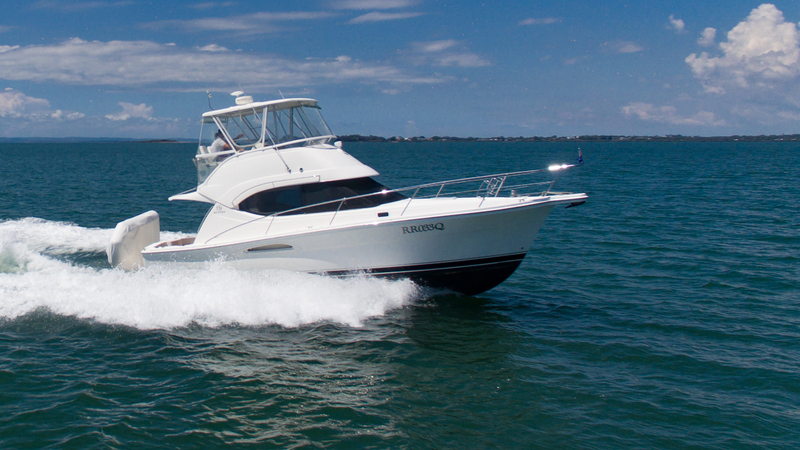 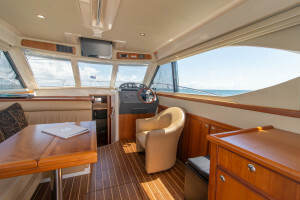 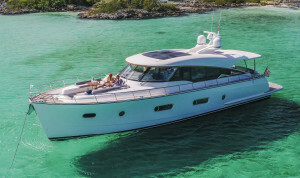 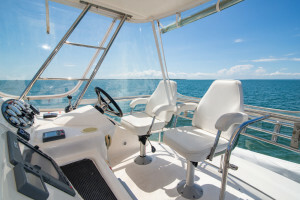 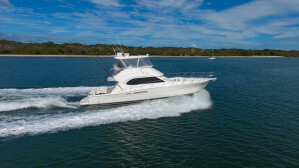 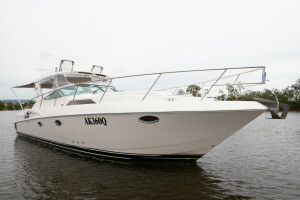 Refrigeration : Fridge to galley, chest fridge to cockpit, and fridge to flybridge. 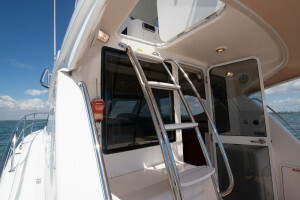 Anchor / Winch : Muir with chain counter to flybridge helm. 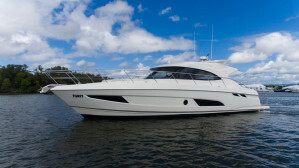 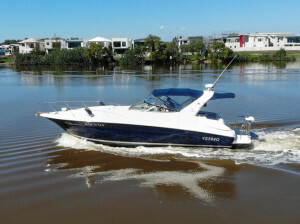 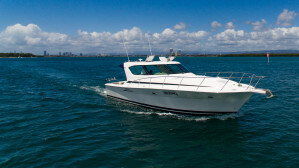 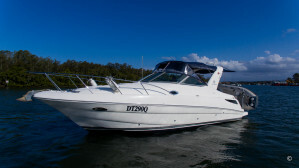 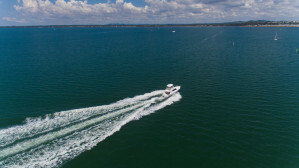 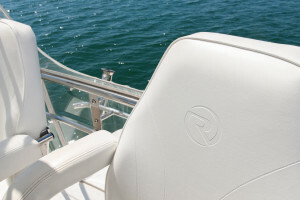 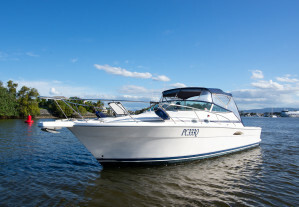 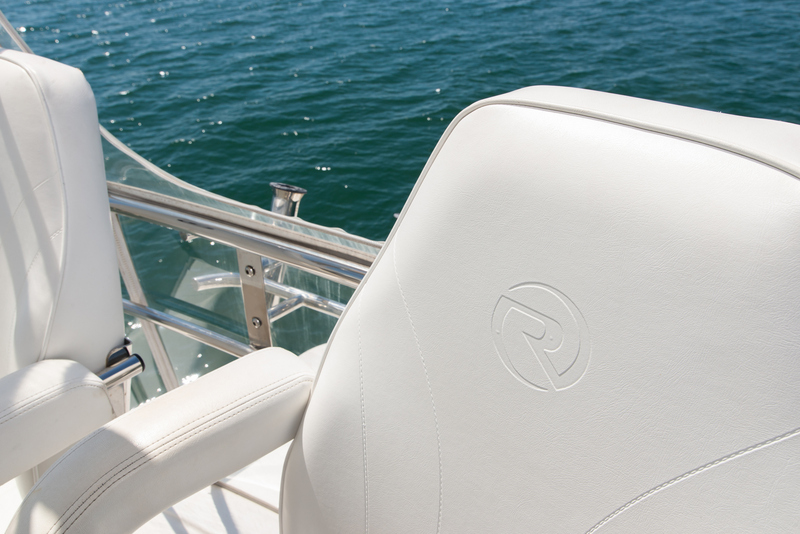 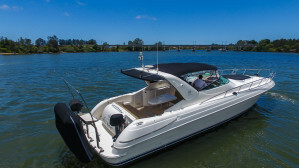 Electronics Navigation : Raymarine E120 with Radar, Raymarine depth gauge, autopilot, spotlight. 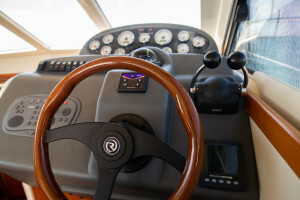 Covers : Cockpit breezeway aft section, cockpit blockout side sections, saloon windscreen breezeway, saloon windscreen blockout, recently replaced cockpit awning, cover for flybridge dash, covers for flybridge helm seats. 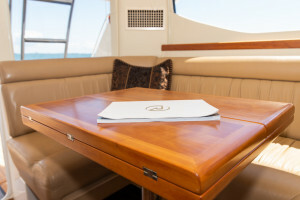 Remarks : Clears in very good condition, teak has recently been sanded and in very good condition. Stainless BBQ for cockpit.